Fire bricks, as the name implies, are special kind of masonry bricks that are made and used in applications where very high temperatures are involved. It is also called refractory brick as it is made using Refractories. Whether used in fireplaces in homes or for lining furnaces in iron and steel making industries, these firebricks serve a very important purpose of absorbing thermal, chemical, and mechanical stresses. 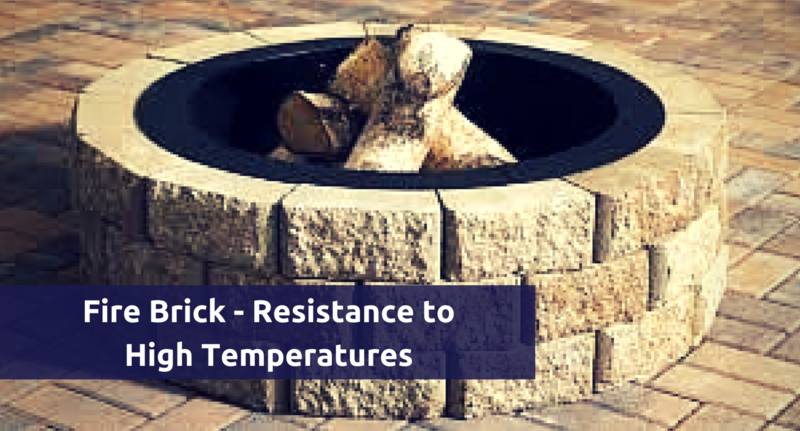 Not only does a fire brick have resistance to high temperatures, it also has low thermal conductivity to enhance the energy efficiency of the process where it is utilized. Fire bricks find many applications in diverse industries involving high temperatures. There are dozens of companies making these bricks using refractory material but the name of Ravani remains at the top of all fire bricks manufacturers across the country. Fire brick is made using fire clay where it is baked for a long time at very high temperature so that it becomes vitrified. Fire clay is made up of mainly silica and alumina. The compounds making up fir bricks are aluminum oxide and silicon dioxide. It is actually alumina content that makes these bricks resistant to high heat and even fire. In general, fire bricks contain aluminum oxide in the range of 50-80% depending upon their usage and the requirements of the clients. When refractory bricks are used to line furnaces used in steel making process, they have to withstand a high temperature of nearly 3000 F.
Fire bricks manufactured by Ravani Enterprises are used by its clients in the country and abroad on many diverse industries. If these bricks are sometimes used to line the fireplace in a home, they are also used to make the thermal shield inside space shuttle. But on a serious note, these refractory bricks are mostly used to provide insulation and to protect the lining of a furnace in industries where temperatures can reach a very high range. Ravani Enterprises has a long experience of serving the requirements of its clients in India and abroad regarding fire bricks of different sizes, shapes and compositions. Our fire bricks are renowned for their high compressive strength, ability to withstand high temperatures, and ease of use and maintenance. Fire bricks cannot be joined together to make up a lining of a durance or a kiln without using a mortar. Ordinary mortar is incapable of holding these bricks together in the face of extremely high temperatures. This is why special kind of refractory mortar is manufactured to hold these refractory bricks together in the lining of furnaces. Multiple uses of refractory bricks in different industries make them invaluable. They are in high demand and made by many companies specializing in refractory materials. But not all refractory bricks are created equal. Our bricks not only provide high thermal and shock resistance but also maintain high thermal efficiency with their low thermal conductivity. They are available in all shapes and sizes and user manual provided by us allows our clients to use these bricks for a very long time.